L.A. Job Market Looking Up? According to the Los Angeles Business Journal, there's a light at the end of this long, dark economic tunnel. L.A.’s economy has started to recover from the recession and the rebound should pick up steam for the rest of this year and into next year, according to a forecast by the Los Angeles Economic Development Corp. Apparently, the entertainment industry has spurred this recovery, showing much bigger gains than had been previously forecast. Job losses have slowed, down to 1% so far in 2010 as opposed to 6% in 2009, and there are strong indicators of job creation on the immediate horizon. With strong gains expecting in both the entertainment, trade, tourism and business services sectors, fluidity in the job market should spread throughout Southern California in the next 6-12 months. That means, whatever your sector, you'll see a significant number of new jobs popping up all over the area. Lots of New Job Listings! One of the fastest growing marketing agencies in the country seeks experienced assistant. This is a real right hand position, assisting both partner/owners with their dealings with clients, vendors, partner companies and internal staff. Keen social skills, excellent judgment, strong attention to detail and a pro-active work style will land you this position. Minimum 3 years related experience. Mac proficient. This is an exciting, fast-paced company with an A-list clientele! Front desk person needed for fast-paced West Los Angeles advertising firm. Phones, meet and greet and general front desk duties. You would be first impression for this company so an excellent attitude is a must! Amazing opportunity to get in on the ground floor of this exciting company! Premiere wealth management firm in Century City looking for a "career receptionist." If you have administrative skills and also love to meet and greet clients and guests, this could be a perfect fit. Minimum one year receptionist and/or administrative experience in corporate or professional office. Friendly, outgoing demeanor with excellent interpersonal and verbal communication skills. MSWord, Excel and Outlook. Temporary personnel needed for variety of administrative (reception, administrative assistant, executive assistant, general office, data entry) and special event (convention registration, red carpet attendants, event ushers). 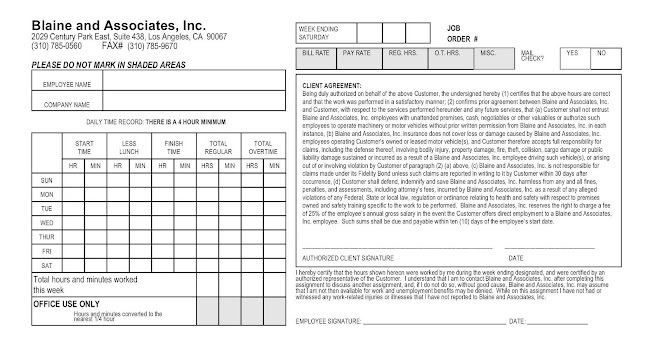 Must have U.S. work status. Traditional administrative position assisting busy real estate executive Downtown. Correspondence, heavy travel arrangements between New York and Los Angeles, reports, and managing inner office workings. Polished, professional applicants with a great attitude - this is the position for you! Excellent references and MS Office skills a must. Five Star hospitality firm has immediate temp-to-perm opening assisting the VP of Marketing. Mix of traditional administrative duties including travel arrangements, scheduling, correspondence, agendas and filing; as well as marketing-specific functions. College degree with a major in Marketing, Communications, Journalism or English preferred plus 2+ years in a marketing services role. Amazing benefits for this upwardly mobile position! Strategic Partners Division of major international real estate firm seeks competent, experienced assistant for heavy investor mailings, phones, financial statements and prospectus presentations. MSWord, Excel, PowerPoint and Outlook a must. College degree preferred. Post-production house needs assistant who doesn't need to be told something more than once. Must have creative side as well as a business side for brainstorming, new ideas, etc. College degree preferred plus a background in entertainment, advertising or similar creative field. This is a tough interview, but the kind of company you want to get your foot in the door. High-profile commercial real estate firm in need of true career receptionist for phones, meet and greet, scheduling lunches, maintaining conference rooms, etc. There is room for advancement, but the mentality must be "long-timer." Excellent perks and gorgeous Santa Monica location. If you have 4+ years collections experience and a proven track record of proven success in reducing DSO this could be the perfect job for you! Responsibilities include overall accountability of all aspects of collections as well as evaluating process and procedure for the legal department. College degree preferred. Background in the legal support field a plus. Business Development partner at exclusive West LA private equity firm in need of assistant with minimum 2-3 years experience working for "C Suite" office. Partner is traveling most of the time so his assistant must be comfortable interacting with clients and contacts on his behalf. Excellent written skills required for heavy correspondence as well as the ability to follow-through with all tasks. Nothing can fall through the cracks! Four year degree required and pristine references. Friendly, polite and customer service oriented candidate for Century City building management office. Primary tasks: answer phones, greet visitors and validate parking tickets. 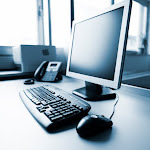 Additional assistance with clerical assignments in other departments as needed. MS Word, Excel, Outlook. Some college preferred.